Dental veneers offer an almost instantaneous makeover for your smile. This cosmetic dentistry option can correct a number of common complaints, improving the overall appearance of your face and providing a huge boost to your self-confidence. However, you need all the facts before deciding if dental veneers are right for you. Here are ten important things you should know before making the choice to get dental veneers. 1. Dental veneers are only one of your options. Cosmetic dentistry has many options these days for patients who want to enhance their smiles. Teeth whitening, tooth bonding, white fillings, and many other choices are available. But, veneers resolve multiple cosmetic issues all in one step. Veneers are like a “shield” for your teeth, covering chips or cracks; providing instantly dazzling, white teeth; solving problems with gaps; and, making your teeth appear more even and symmetrical. Tooth bonding can provide many of these benefits as well but not with the same precision as veneers. Also, tooth bonding is generally not as long-lasting as veneers because the bonding material can chip or break over time. 2. Dental veneers are not intended to be removable. Unlike a dental aligner or some types of dentures, veneers are not designed to be removed. You should think of them as a permanent fixture in your mouth. No, they will not last forever, and your dentist can remove them if they become damaged, but because of the time and money you’ll invest, they shouldn’t be treated as being disposable. Composite (also called resin) veneers will typically last for 5-10 years. Porcelain veneers are more durable and should last as long as 15-20 years. Of course, you will get more life out of your veneers by avoiding hard foods like jawbreakers and ice and by taking good care of your teeth and gums. When the time does come to have your veneers replaced, your dentist will remove the old ones and will apply new veneers without damaging your existing teeth. 3. Veneers do not require surgery. To apply your veneers, your dentist will first “roughen” the front surfaces of your teeth, removing a thin amount of the enamel. This process does not require surgery. Your dentist will provide anesthetic to prevent any pain, and you can ask about other comfort options like headphones and sedation. Afterward, you may need ibuprofen for a few days to help with any lingering sensitivity or soreness. 4. You don’t have to get veneers for your entire mouth. Some patients want a completely new smile, while others have a single chipped or discolored tooth they’d like to change. If the latter is your case, then you can have just one veneer placed. This is a more cost-effective option if you’re largely satisfied with your smile and if you have just one or two problem teeth. 5. Not everyone will be a good candidate for veneers. Most adult patients can receive veneers, but that said, your dentist must first conduct a thorough exam, including X-rays and other diagnostic tests, before applying them. 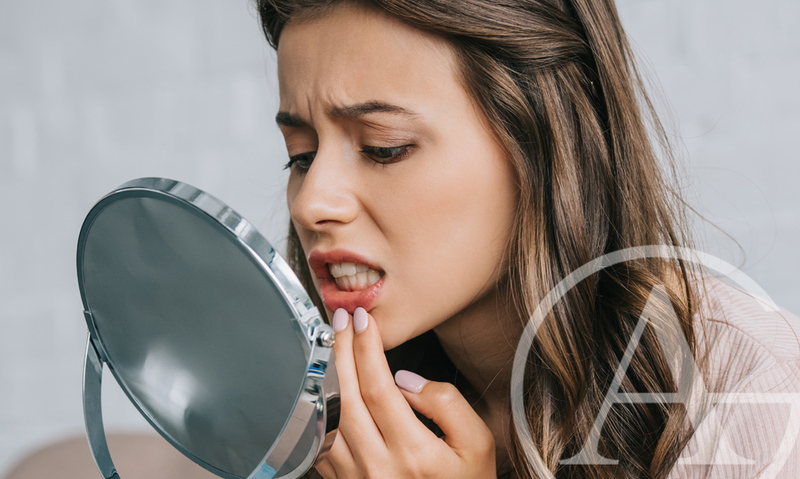 Certain conditions, such as oral infections or tooth decay, could keep you from being a good candidate for veneers.Fortunately, your dentist will usually be able to offer treatment to correct these conditions to eventually get your mouth in good shape for the application of veneers. 6. Veneers are uniquely customized for you. There is no such thing as one-size-fits-all veneers. Your veneers are custom-made and have to be tailored to fit your existing teeth so that your new smile appears natural. Veneers are as much an art as they are a dental medicine, and since veneers are all about appearance, your dentist will need some time to craft the perfect set for you. But, don’t worry…you’ll be involved in the design process. You and your dentist will work together to choose the right shape and color of veneers to create your ideal smile. 7. The process takes about two weeks. It is unlikely that you’ll be able to have your permanent veneers applied in a single office visit. Instead, the entire process usually takes two visits spread over a few weeks. This time gives you a chance to “test” your new veneers with the new shape and shade. 8. You can get temporary veneers while you wait. Some dentists provide temporary veneers so their patients can preview their new smiles. You will wear these temporary veneers for a week or two, giving you time to get used to the feel and to decide if you like the appearance or not. Your dentist can easily remove these trial veneers so that the permanent ones can be placed. 9. Insurance almost never covers veneers. Dental insurance companies consider veneers to be purely cosmetic, and the vast majority of insurance plans do not cover cosmetic procedures. So, you should expect to pay for your veneers out of your own pocket. Since veneers are custom-made and require great skill, the price of porcelain veneers averages $1200-2000 per tooth while the cost for composite veneers is around $500-1500 per tooth. Many dentists will offer payment plans or financing for veneers. These payment options make veneers accessible to more patients. 10. You will need professional care. Most people know they should visit their dentist every six months for a thorough cleaning and examination. This advice still holds true if you have veneers. A set of veneers will not exempt you from professional care, so you should keep your biannual visits. In fact, dental check-ups become even more important with veneers as you will want to safeguard your new, beautiful smile. Auger, S. (2018, November 15) How Do Veneers Work? Colgate. (2018, November 15) How Long Do Veneers Last? Improving Your Smile With Dental Veneers. Journal of the American Dental Association. August 2003; 134(8):1147.